Have you ever wondered what a storefront window can do to transform your business? Storefront vinyl lettering is the perfect medium for advertising your business, and for enticing customers into your shop. Apple Graphics of Bucks County and Philadelphia can help transform your blank storefront windows into an effective advertising space to improve your brand awareness and curb appeal. Storefront vinyl window lettering advertises your products and services, and helps differentiate you from your competitors. At Apple Graphics of Bucks County and Philadelphia, our skilled technicians use self-adhesive vinyl which adheres well to any glass surface. 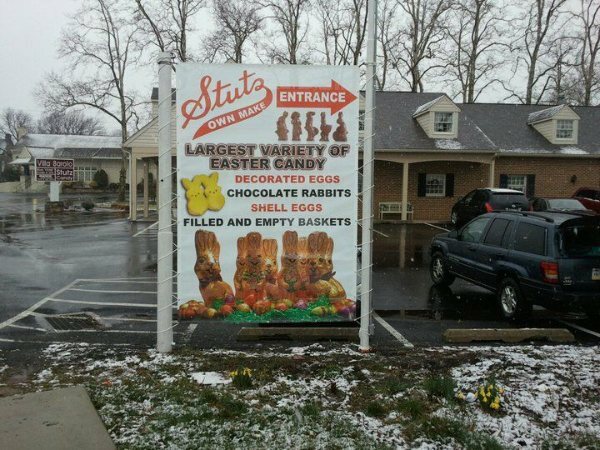 We work creatively to combine the best color options for your window, and we help transform your storefront into a beautiful billboard to make your shop look great. Your completed storefront window will be an asset to your business for years to come and will both enhance your brand and communicate your intended message. Apple Graphics specializes in providing high impact visual solutions in the form of vehicle wraps, signs and banners. We realize that although many small businesses take residence online, there are still brick and mortar shops that benefit greatly from our specialized services. In fact, we recently completed a series of barricades for Philadelphia Mills. Our excellent staff will do what it takes to ensure that your printed graphics sign, banner, or vinyl lettering is of the highest standard, and in line with your company vision. Apple Graphics will provide you with the ability to maximize your company's exposure, and will give your company that edge in advertising that you've been looking for. Our storefront vinyl lettering, signs, and banners, are ideal tools for delivering your message to potential customers. Cut vinyl lettering is the most popular type of storefront signage. The low cost and high visibility of cut vinyl make it an attractive solution for most customers. We can use multiple colors for a high visual impact. Frosted vinyl can be used as a privacy divider between rooms separated by glass or to enhance the design of your entrance. Also, translucent materials applied to a back-lit cabinet sign will enhance the night time visibility of your business. Storefront vinyl lettering offers the greatest flexibility in storefront window signage. Gone are the days of limiting yourself to a few small lines of text. Instead, vinyl lettering will bring your storefront to life with full color print in your previously blank window space. Even if you have a sign on top of your business, adding vinyl lettering to the windows can create dynamic curb appeal and visibility. It also gives you an opportunity to express more about what your company is about. With window lettering, you have more surface area, which creates more options. You can put the hours you’re open, or a tagline, or even advertise promotions. 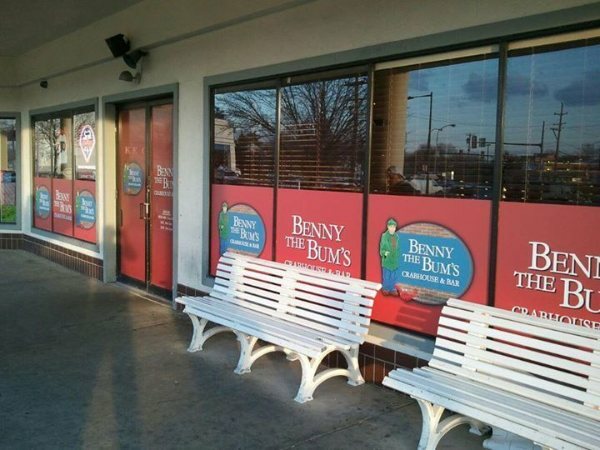 Customized window graphics are effective advertising that you only have to pay for once. The benefits, however, are repeated.